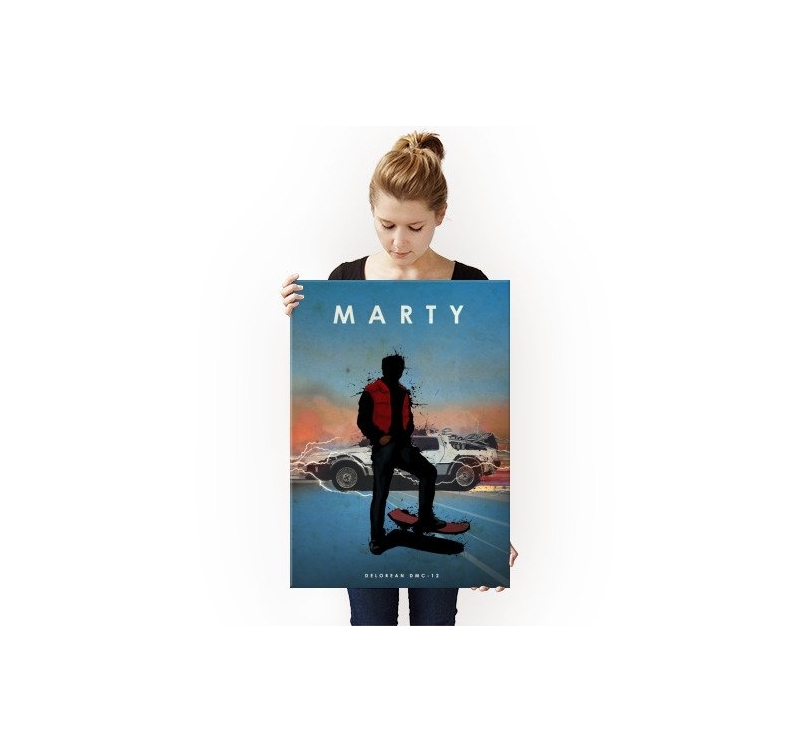 Travel through time with our Marty metal poster ! This original metal poster comes with its magnetic hanging system. 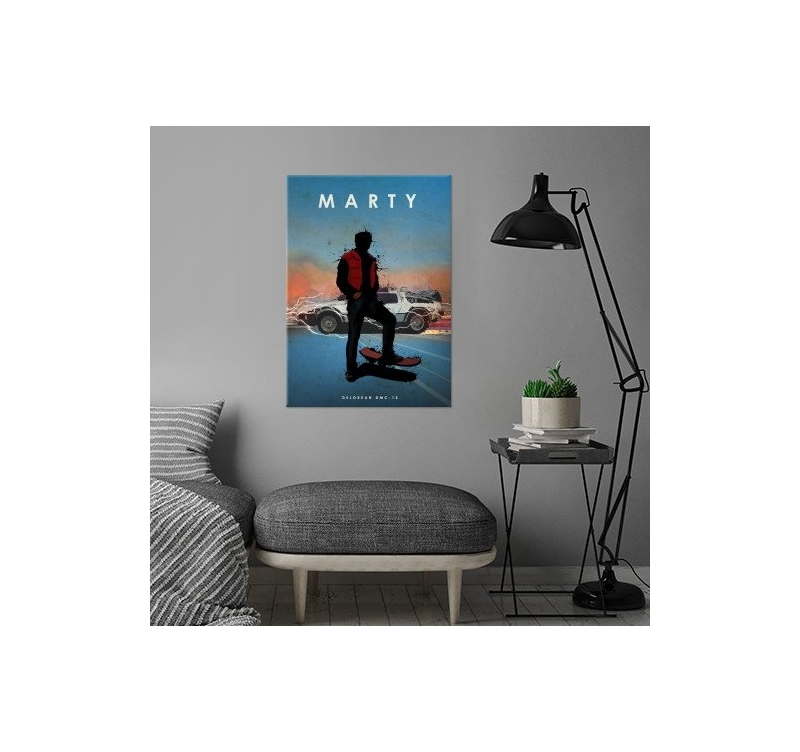 Completely free deliveries in metropolitan France and Belgium for this Marty wall poster. Need a flash back ? Marty McFly, the teenager who has the extravagant friend "Doc" will be projected in the past with this design metal poster. On board with his Delorean, this collector wall poster plunges you into a crazy universe ! 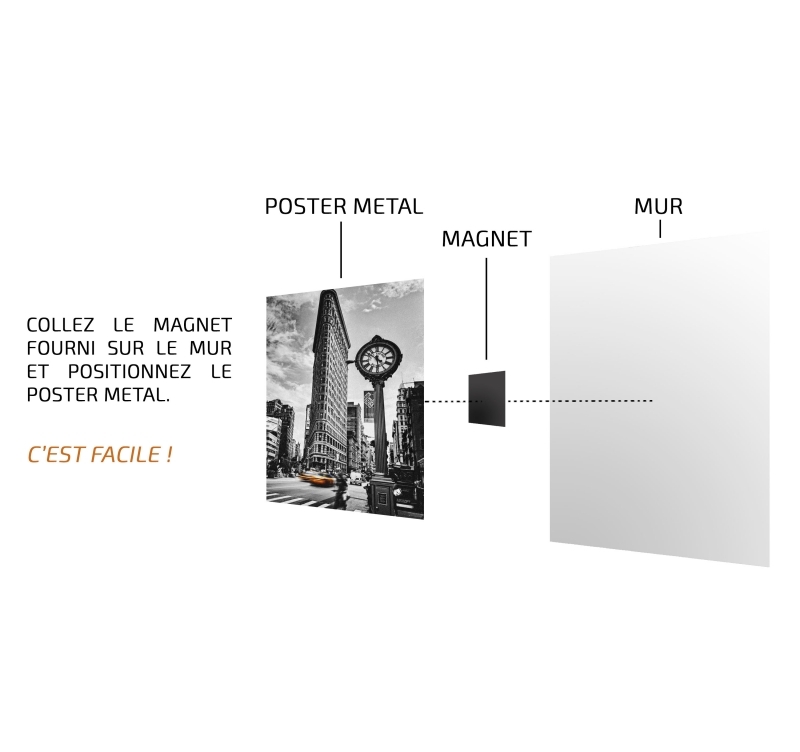 This metal poster design, with light colors, will give a modern look to your interior decoration. 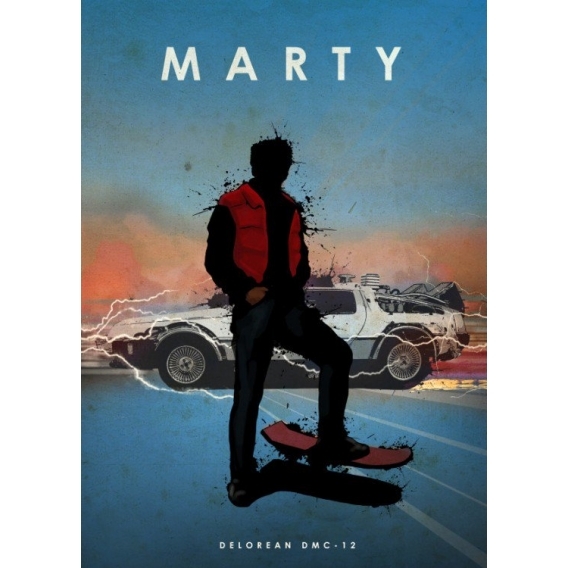 Real piece of art, this unique poster of Marty is authenticated with a hologram on the back of the work art and signed by our production manager. 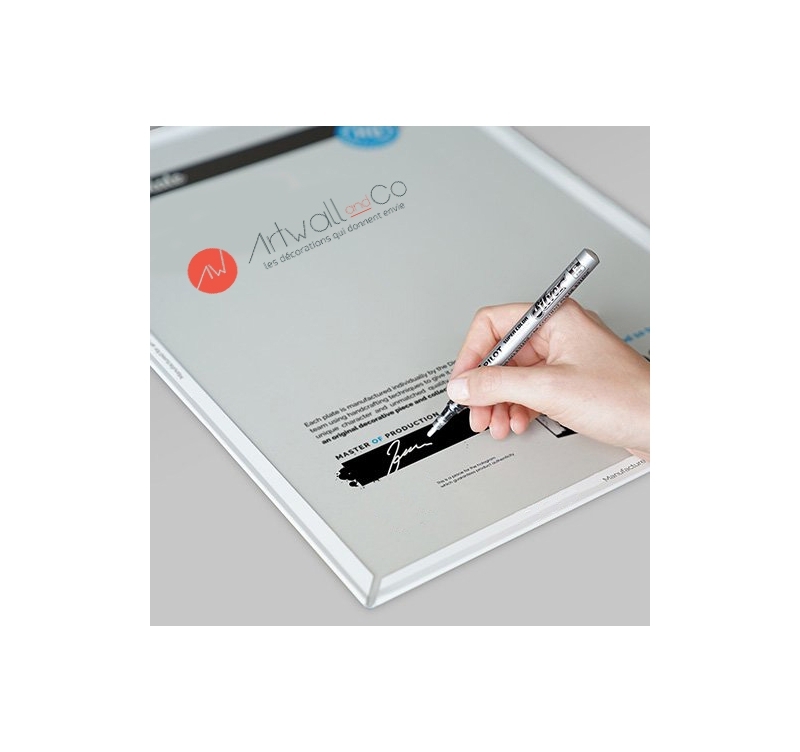 The Artwall and Co hanging system will allow you to attach this metal film poster to your wall without hole or screw, so you can change the Artwall and Co poster according to your desires ! The purchase of one of our film and series wall posters allows you to directly support the artist of this wall frame.